The Decades Dance Party Fundraisers are back! Now being held in our ground floor storefront, the Decades Dance Parties return every second Friday. All profits go to the Lodge. 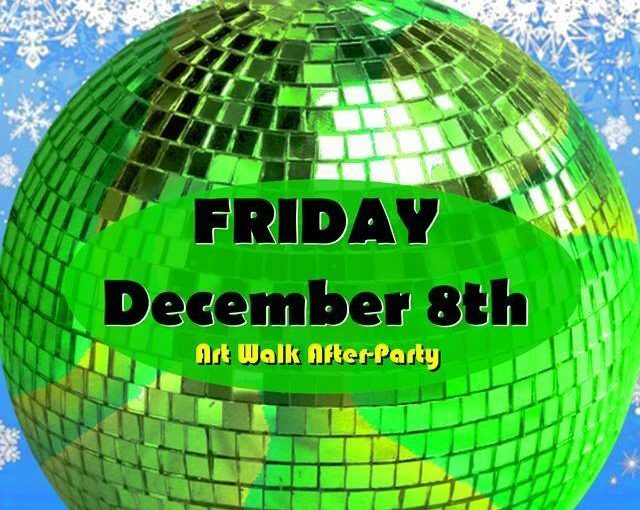 The Decades dance party returns on Friday, December 8th! This one will be a big one as it’s the official Decades Holiday Dance Party! 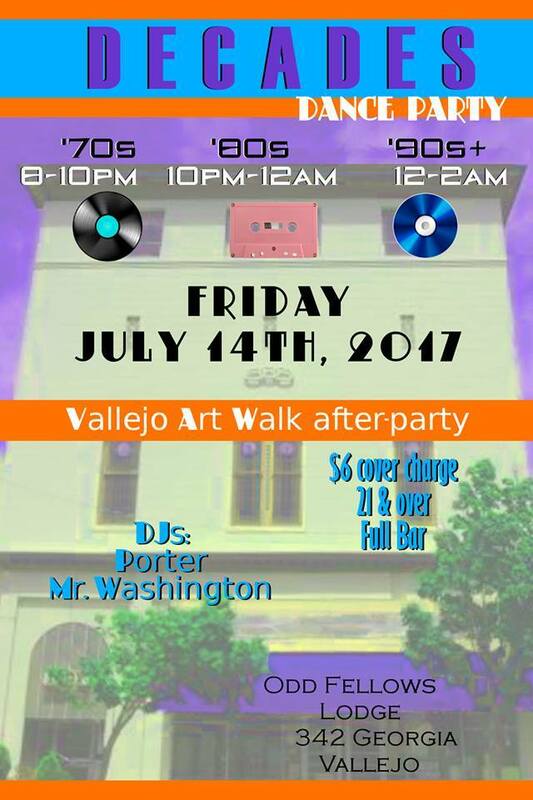 Come join us at the Odd fellows, San Pablo Lodge #43, Ballroom on Friday, December 8th, after the Vallejo Art Walk in downtown Vallejo. For this one we’ll be going all out, with songs from every decade in the modern music era, with all the top hits of the 70s, 80s, 90s, 2000s, with even a few Rocking Christmas songs from the 50s and 60s thrown in as well! 70s Disco & Funk ….. The Bee Gee’s, Earth Wind and Fire, Donna Summer, KC & The Sunshine Band, Kool & the Gang, Heatwave, The Village People, ABBA, Parliament, Gloria Gaynor, The Jackson 5, Rod Stewart, Diana Ross, & More! 80s New Wave & Pop …. Madonna, Duran Duran, Prince, The Cure, Whitney Houston, Depeche mode, Flock of Seagulls, Gary Numan, Tears for Fears, Michael Jackson, New Order, The Human League, The Smiths, Billy Idol, Thomas Dolby, & More! 90s Dance & Hip Hop…. Right Said Fred, Tupac, TLC, Salt-N-Pepa, Britney Spears, Vanilla Ice, Haddaway, LaBouche, Snoop Dogg, Digital Underground, MC Hammer, Christina Aguilera, AQUA, Will Smith, The Spice Girls & More! Including Lady GaGa, Rhianna, Pitbull, LMFAO, Justin Timberlake, Janet Jackson, Beyoncé, Taio Cruz, Katy Perry, Drake, 50 Cent, Mariah Carey, Sia, Nicki Minaj, Nelly, Usher, Mary J Blige & More! Plus some of your favorite Rockin Holiday favorites from the 50s and 60s! Decades Vallejo would also like to thank our wine sponsor, Vino Godfather Winery on Mare Island! See you on December 8th! Ho… Ho…. Ho! 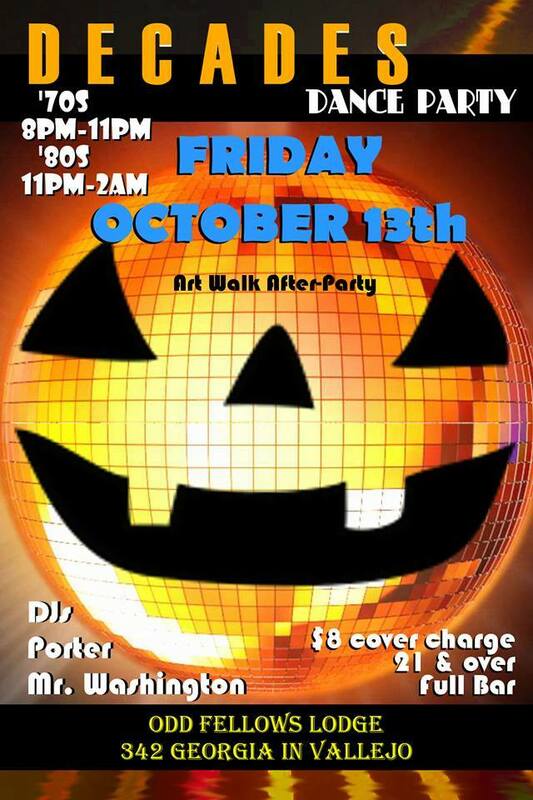 Doors Open at 8pm, Bar & Music starts at 8pm on the dot. 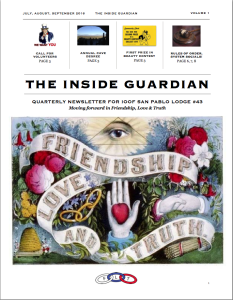 The first edition of the Inside Guardian is here!